EXECUTIVE SUMMARY: In view of growing Middle Eastern turmoil since the Arab upheavals of 2011, the time has come for Israel to review the efficacy of its traditional policy of deliberate nuclear ambiguity. Given the upheavals cascading throughout the Middle East since 2011, Israel now faces a unique dilemma. Notwithstanding the logical underpinnings and coherence of its own unilateral foreign policies, whatever Jerusalem should decide to do or not do about the “big picture,” a vision that could include the advent of a nuclear Iran as a regional hegemon and heightened Shiite-Sunni infighting, this ever-volatile region could slip irretrievably into a still deeper level of chaos. If Israel is to remain secure in such an environment, it will have to re-evaluate its policy of deliberate nuclear ambiguity. To date, the “bomb-in-the-basement” policy has made good sense for Israel. Both friends and foes recognize that it possesses significant nuclear capabilities that are both survivable and capable of penetrating enemy defenses. Indeed, for adversaries not to acknowledge these capabilities would require a self-imposed intellectual deficit. But what should Israel do about its nuclear posture going forward? How should this ambiguous stance be adapted to the convergent and inter-penetrating threats of still-impending Middle Eastern/North African revolutions, a nuclear Iran, and Israel’s more or less constant concern about negotiating agreements with state and sub-state (terrorist) organizations? Conventional wisdom assumes that credible nuclear deterrence is somehow an automatic consequence of merely holding nuclear weapons. By this argument, removing Israel’s nuclear bomb from the “basement” would elicit new waves of global condemnation without offering any commensurate benefits. But conventional wisdom is not always wise. The pertinent strategic issues for Israel are not simple or straightforward. In the arcane world of Israeli nuclear deterrence, it can never be adequate that enemy states simply acknowledge the existence of the Jewish State’s nuclear arsenal. Rather, these states must believe that Israel holds usable nuclear weapons, and that Jerusalem would be willing to employ them in certain circumstances. The Middle East’s endemic instabilities create good reason to doubt that Israel would benefit from a continuation of the policy of deliberate nuclear ambiguity. It would seem, moreover, from certain developments within Israel’s defense and intelligence communities, that the country’s senior leadership fully understands such informed skepticism. To best augment such an understanding, Israel’s nuclear strategists should proceed interrogatively – in effect, creating a continuously self-refined “strategic dialectic” from which suitable answers and policies could then be incrementally extracted or systematically deduced. A basic point now warrants reiteration. Israel is imperiled by existential threats that fully justify its possession of nuclear weapons and that require a correspondingly purposeful strategic doctrine. Without such weapons and doctrine, Israel cannot survive over time, especially if neighboring regimes become more adversarial, more jihadist, and/or less risk-averse. Nuclear weapons and a correspondingly purposeful nuclear doctrine could prove vital to those more-or-less predictable scenarios requiring preemptive action and/or retaliation. Generically, military doctrine describes how a country’s national forces would fight in plausible combat operations. But the full importance of doctrine lies not only in the ways it can animate and unify military forces, but also in the particular fashion with which it can transmit messages. In other words, doctrine can serve a state (especially an endemically beleaguered state) as a critical form of communication with both friends and foes. Israel can benefit from such a broadened understanding of doctrine. The principal risks facing Israel are specific, not generic. This is because its adversaries in the region can be joined by: 1) the prospective new Arab state of “Palestine;” and 2) a newly nuclear Iran. In the worst case, such inauspicious “joinings” would take place at the same time. For Israel, merely possessing nuclear weapons, even when fully recognized by enemy states, can never automatically ensure successful deterrence. Though possibly counter-intuitive, a selective and nuanced end to deliberate ambiguity could substantially improve the overall credibility of Israel’s nuclear deterrent. With this in mind, the injurious potential of enemy attacks in the future could be reduced by making selectively available additional information concerning the security of Israel’s nuclear weapon response capabilities. This information, limited yet explicit, would center on major and inter-penetrating issues of Israeli nuclear capability and decisional willingness. Skeptics will likely disagree. It does, after all, appear reasonable to assert that nuclear ambiguity has worked so far. Arguably, while Israel’s current nuclear policy has done little to deter multiple conventional terrorist attacks, it has succeeded in keeping the country’s enemies, whether singly or in collaboration, from mounting any authentically existential aggressions. But as nineteenth-century Prussian strategic theorist Karl von Clausewitz observed in his classic essay On War, there comes a military tipping point when “mass counts.” Israel is very small. Its enemies have always had a huge advantage in terms of “mass.” Perhaps more than any other imperiled state on earth, Israel needs to steer clear of such a tipping point. An integral part of Israel’s multi-layered security system lies in effective ballistic missile defenses, primarily the Arrow. Yet even the well-regarded and successfully tested Arrow, augmented by the newer, shorter-range and systematically integrated operations of Iron Dome, David’s Sling, and related active defenses, could never achieve a sufficiently high probability of intercept to protect Israeli civilians. No system of missile defense can ever be entirely “leak-proof,” and even a single incoming nuclear missile that somehow managed to penetrate Arrow or its corollary defenses could conceivably kill tens or perhaps hundreds of thousands of Israelis. Leaving aside a jihadist takeover of nuclear Pakistan, the most obviously unacceptable “leakage” threat would come from an eventually nuclear Iran. To be effectively deterred, a nuclear Iran would need to be convinced that Israel’s atomic weapons were both invulnerable and penetration-capable. Any Iranian judgments about Israel’s capability and willingness to retaliate with nuclear weapons would depend largely upon prior knowledge of these weapons, including their degree of protection from surprise attack as well as their capacity to punch through Iranian active and passive defenses. A nuclear weapons-capable Iran may already be a fait accompli. For whatever reasons, neither the international community in general nor Israel in particular has managed to create sufficient credibility concerning timely preemptive action. Such a critical defensive action would require complex operational capabilities, and could generate Iranian counter actions that could have a very significant impact on the entire Middle East. It is likely that Israel has already undertaken major steps in cyber-defense and cyber-war, but even the most strenuous efforts in this direction would not be enough to stop Iran altogether. The sanctions leveled at Tehran over the years have had an economic impact, but have had no determinable effect in terms of halting Iranian nuclearization or Tehran’s enhancements of intercontinental ballistic missile testing. A nuclear Iran could decide to share some of its nuclear components and materials with Hezbollah or with other terrorist groups. To prevent this, Jerusalem would need to convince Iran, inter alia, that it possesses a range of usable nuclear options. Jerusalem should now be calculating (vis-à-vis a prospectively nuclear Iran) the degree of subtlety with which it should consider communicating key portions of its nuclear status. Certain general details could be released about the availability and survivability of lower-yield weapons. Naturally, Israel should never reveal any specific information about its nuclear strategy, hardening, or yield-related capabilities. It is important to bear in mind that an Israeli move from ambiguity to disclosure would not necessarily help in the case of an irrational nuclear enemy. It is possible that certain elements of the Iranian leadership might subscribe to certain end-times visions of a Shiite apocalypse. By definition, such an enemy would not value its own continued national survival more highly than any other preference or combination of preferences. Were its leaders to be or to become non-rational, Iran could effectively become a nuclear suicide-bomber in macrocosm. Such a destabilizing prospect is improbable, perhaps even at the very outer fringes of plausibility, but it is not inconceivable. A more-or-less similar prospect exists in already nuclear and distinctly coup-vulnerable Pakistan. To protect itself against military strikes from irrational enemies, particularly attacks that could carry existential costs, Israel will need to reconsider virtually every aspect and function of its nuclear arsenal and doctrine. Removing the bomb from Israel’s “basement” could enhance Israel’s strategic deterrence to the extent that it would heighten enemy perceptions of the severity of the risks involved. This would also bring to mind the so-called Samson Option, which could allow enemy decision-makers to grasp that Israel is prepared to do whatever is needed to survive. Irrespective of its preferred level of ambiguity, Israel’s nuclear strategy must always remain oriented towards deterrence, not war-fighting. The Samson Option refers to a policy that would be based in part upon some implicit threat of massive nuclear retaliation for certain specific enemy aggressions. Israel’s small size means, among other things, that any nuclear attack would threaten Israel’s very existence and therefore could not be tolerated. A Samson Option would make sense only in last-resort or near last-resort scenarios. If it is to be part of a credible deterrent, a corresponding end to Israel’s deliberate ambiguity is essential. The really tough part of this transformational process will be determining the proper timing for any such action vis-à-vis Israel’s core security requirements, and also the expectations of the international community. In any event, the Samson Option should never be confused with Israel’s overriding security objective: to seek stable deterrence at the lowest possible levels of military conflict. In the often counter-intuitive strategic world, it can sometimes be rational to pretend irrationality. The nuclear deterrence benefits of pretended irrationality would depend, at least in part, upon an enemy state’s awareness of Israel’s intention to apply counter-value targeting when responding to a nuclear attack. But, once again, Israeli decision-makers would need to be wary of releasing too much specific information. Also worrisome, of course, is that the American president could be perceived as more-or-less genuinely irrational, prodding “anticipatory preemptions” against the US directly or (depending on particulars) against close allies such as Israel. None of this is meant to suggest that an Israeli movement away from deliberate nuclear ambiguity would be helpful only on matters specifically involving nuclear threats. The credibility and cost-effectiveness of any Israeli nuclear retaliatory threat would be greatest where the expected aggression was similarly nuclear. Still, there are circumstances in which a determined enemy or coalition of enemies might contemplate launching “only” a devastating conventional first strike against Israel, and conclude that such a move would be sensible because it would not elicit Israeli nuclear retaliation. If, however, the aggressors were aware that Israel was in possession of a wide array of capable and secure nuclear retaliatory forces, both in terms of range and yield, these enemies would be more likely to be successfully deterred. In this scenario, as a consequence of incremental and nuanced disclosures, Jerusalem would have signaled its adversaries that it can and will cross the nuclear retaliatory threshold in order to punish the inflicting of any potentially existential national harm. In more narrowly military parlance, Israel’s actions would be designed to better ensure “escalation dominance.” The nuclear deterrence advantages to Israel of taking certain steps away from nuclear ambiguity would lie in the signal it sends: that Israel will not need to retaliate with massive and disproportionate nuclear force. It will have other (more believable) retaliatory options. In the final analysis, specific and valuable security benefits would likely accrue to Israel as a result of a selective and incremental end to deliberate nuclear ambiguity. The optimal time to begin such an “end” may not yet have come, but it will have arrived the moment Iran or any other obvious foe verifiably crosses the nuclear threshold. If and when that moment arrives, Israel should have already configured 1) its optimal allocation of nuclear assets; and 2) the precise extent to which that configuration should be disclosed. Such preparation could meaningfully enhance the credibility of its nuclear deterrence posture. A fully recognizable second-strike nuclear force should then be revealed. Of necessity, such a robust strategic force – hardened, multiplied, and dispersed – would be fashioned to inflict a decisive retaliatory blow against major enemy cities. Iran or another prospective nuclear adversary, so long as it is led by rational decision-makers, should be made to understand that the costs of any planned aggression against Israel would always exceed any conceivable gains. To more comprehensively protect itself against potentially irrational nuclear adversaries, Israel still has no logical alternative to developing a conventional preemption option. Operationally, there can be no reasonable assurance of success against multiple hardened and dispersed targets. Regarding deterrence, however, “irrational” is not the same as “crazy.” Even an irrational enemy leadership can still maintain national preference orderings or hierarchies that are both consistent and transitive. For example, an irrational leadership can be subject to threats of deterrence that credibly threaten deeply held religious as well as public values. The principal difficulty for Israel is in ascertaining the precise nature of those core enemy values. Should it be determined that an Iranian leadership were genuinely “crazy;” that is, without any decipherable or predictable ordering of preferences, usual deterrence bets could necessarily give way to preemption. By definition, such determinations are strategic rather than jurisprudential. From the discrete standpoint of international law, perhaps in view of Iran’s genocidal threats against Israel, a preemption option could still represent a permissible expression of anticipatory self-defense. Again, this purely legal judgment would be entirely separate from any parallel or coincident assessments of operational success. For now, at least, these assessments all point overwhelmingly to the avoidance of exercising any residual preemption option. In the final analysis, whether or not a prompt or incremental shift from deliberate nuclear ambiguity to express nuclear disclosure is indicated will depend upon several complex and interdependent factors. They include the specific types of nuclear weapons involved; the presumed reciprocal calculations of designated enemy leaders (state and sub-state); the expected effects on rational decision-making processes by these enemy leaders; and the expected effects on both Israeli and adversarial command/control/communication processes. 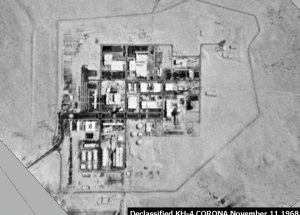 Correspondingly, if bringing Israel’s bomb out of the “basement” were ever expected to produce selected enemy pre-delegations of nuclear launch authority and/or new and seemingly less stable launch-on-warning procedures, the likelihood of unauthorized or accidental nuclear wars could be increased. It follows that Israel must prepare to continuously upgrade its national military nuclear strategy – in particular its longstanding policy of deliberate nuclear ambiguity.